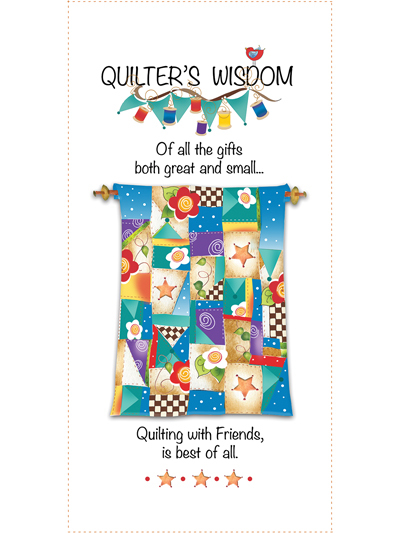 Novelty Fabric Panels - Quilter's Wisdom Quilt Panel 6" x 12"
Craft a special bond between you and a quilting comrade! 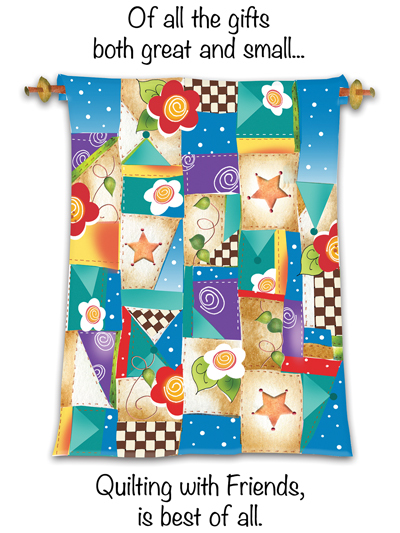 This is a great panel to use for a wall hanging, full quilt, or even a tote bag! The panel is printed on 100% cotton with eco-friendly permanent dyes. Full panel size is 6" x 12". We love these! We've added blocks with each person in our quilting group and given them as going away gifts, housewarming gifts and birthday gifts. They are treasured by the recipients. Handmade From the Heart Panel - 10" x 10"